Posted on 5, January 2016 by EuropaWire PR Editors | This entry was posted in Government, Italy, Security & Safety, Telecom and tagged Finmeccanica, Italian Ministry of the Interior, Tetra PIT Programme. Bookmark the permalink. ROME, 5-1-2016 — /EuropaWire/ — The contract signed by Finmeccanica on 31 December 2015 with the Italian Ministry of the Interior to extend the Tetra PIT Programme, was to the value of €450 million (Including VAT). The Programme is for the implementation of a Tetra‐based mission‐critical national mobile radio service assuring secure communications for Police Forces. The contact will allow for further developement of the service across other Italian regions, and is financed through resources set out by the Italian Stability Law of 2013, 2014 and 2015, and represents one of the most advanced technological programmes for Italian national security. coordination of units deployed across the territory. Finmeccanica is among the top ten global players in Aerospace, Defense and Security and Italy’s main industrial company. 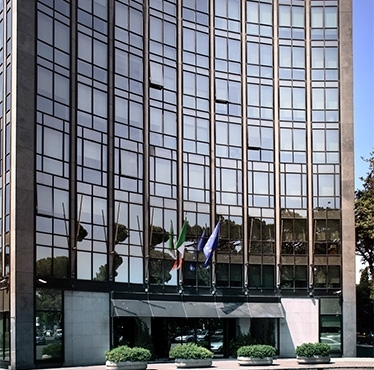 As a single entity from January 2016, organized into business Divisions (Helicopters; Aircraft; Aero-structures; Airborne & Space Systems; Land & Naval Defence Electronics; Defence Systems; Security & Information Systems), Finmeccanica operates in the most competitive international markets by leveraging its areas of technology and product leadership. Listed on the Milan Stock Exchange (FNC IM; SIFI.MI), at 31 December 2014, Finmeccanica recorded restated consolidated revenues of 12.8 billion Euros and has a significant industrial presence in Italy, the UK and the U.S.